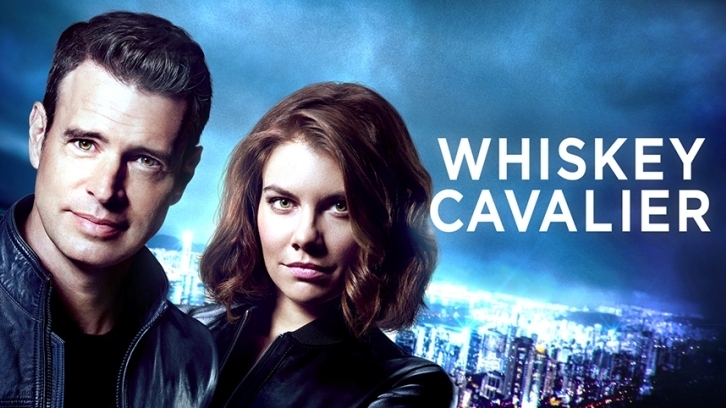 Whiskey Cavalier - Five Spies and a Baby - Review: It's Spring Break Bulgaria! It's time for Five Spies and a Baby and... hi, excuse me, Emma? Just curious why you think it’s okay to turn up at The Dead Drop for the team’s mission briefing? You've worked together once. Just because you’re dating Will doesn’t mean you can take part in these briefings. Also, I liked you last episode, but this episode I have some concerns. More on that later. Ray has some work to do when it comes to boundaries. Suggesting he, Will and Emma go out for a drink sometime? Bad idea. Terrible. That he actually thinks Will would be up for such a thing? Idiot. Frankie is being the bigger person and not letting jealousy flare up around Emma or Will. She seems genuinely happy for them and that’s refreshing for television. And the blossoming friendship between Frankie and Susan is beautiful. Frankie’s letting her guard drop a lot more, especially when she talks with Susan, and while she may joke about cleaning up bodies for Susan, Frankie seems like the kind of friend who would actually do it and ask zero questions. 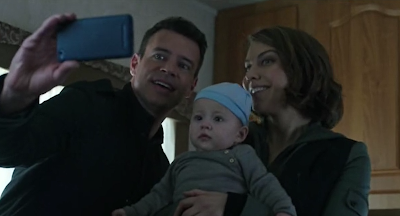 The team gets in the middle of a child trafficking operation run by Vlad and Martyna, and find themselves looking after a baby. It’s like the writers don’t want fanfiction written about these characters because they’re doing it themselves. So off the team goes to Bulgaria, where they come face-to-face with the transportation/safe house organized by Ray: an RV. “Eventually I’m going to have to murder Ray,” Frankie says. “I’m not going to stop you,” Will replies. It’s like a family vacation. Will and Frankie take first shift together with the baby. Which is totally weird. They discuss having kids, like all good fanfics do. Frankie tells Will about how, once upon a time, she was a total girly girl, and while they may joke about it being hard to believe there’s definitely hints of this younger Frankie starting to break through. Off they go to the police to try and get names of families with missing children. Unfortunately Vlad, the leader of this trafficking ring, is also the chief of police. What’s important to note about Jai is that he doesn’t hate babies, and he may say he fears them but really he fears his own quirks. He doesn’t want a kid to grow up with a father like he thinks he would be. But like Standish points out, Jai too has been changing, and it’s heartwarming to see Jai at the end of the episode holding Baby Will and getting caught up in that new baby smell. Will phones Emma and is less than thrilled to hear she’s hanging out with Ray. This isn’t the kind of news Will needs on his birthday and it bothers him. A lot. Remember last week when I said Will gets mean when he’s angry? He does that again here, directing it at Frankie again after she tries to reassure him Emma and Ray hanging out isn’t a big deal. Frankie is clearly hurt by his words. Now that they’re growing closer his opinions matter to her, and that one stung. She slams the RV door and the noise is enough for him to realize that he just screwed up. Susan and Frankie strengthen their bond over a diaper change – and over Will’s behavior. 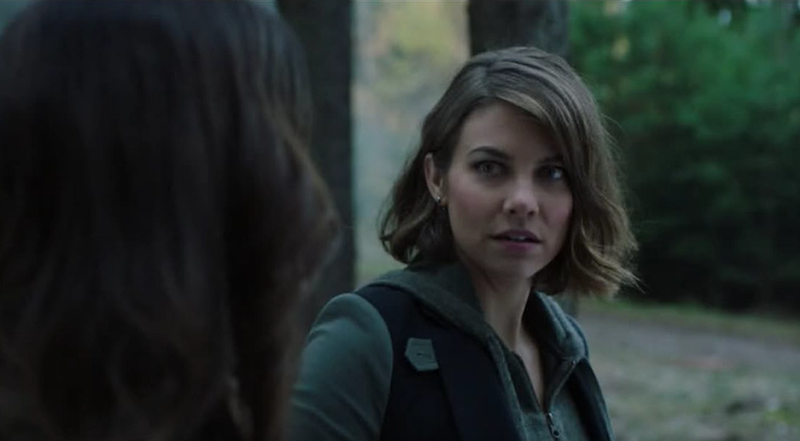 If this show is cancelled can we get a Frankie/Susan spy spin off? I love this friendship; I would love to see more of this friendship. Beside the campfire, Frankie teases Will over the Ray and Emma thing. “Remma,” she says, throwing couple names at Will. He deserves that. Unlike last time when Will insulted Frankie’s character, he apologizes this time. Because this show lets its characters grow. She does push the jokes a little, but it’s fun seeing this more smiley version of Frankie, and Will deserves it for his behavior. Frankie doesn’t let Will get away with such things and he should be more careful in future how he speaks to Frankie. Susan goes off for a run on her own and she’s the first to be brought down by Martyna. Her next victim is Jai, followed by Standish – after he discovers Baby Will’s teddy bear has a tracker in it. Martyna takes the baby and the bear, with the tracker still in it. Will is lucky his words earlier to Frankie haven’t put her off speaking up. His apology was genuine and she accepted it, so when Will is about to phone Emma to check in, Frankie stops him, reminding him it just suggests that he doesn’t trust Emma. And I’m just going to put it out there that: maybe he shouldn’t? I don’t mean with Ray but just in general. She buys Will an engraved watch for his birthday after dating just 6 days? I don’t care who you are or what you do: it’s too fast and just plain weird. I liked and trusted Emma in The English Job but there are some red flags now. Will is going to get his heart broken by her but it might be a more complicated breakup than I first imagined. Maybe that did used to be Emma. Or – just maybe – that’s still her. 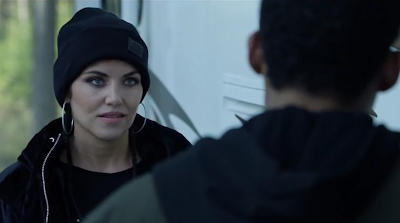 Martyna turns out to be Tina – CIA. She’s been working under deep cover for years and now needs the team to help her take Vlad down. Standish is smitten by this new team member and Frankie’s starting to make a new friend. While infiltrating the operation and saving the children, there’s a moment where Standish kills someone to save Jai’s life. This is Standish’s first kill and if Whiskey Cavalier continues its trend of showing consequences, hopefully future episodes will show if taking a life has affected Standish at all. Ultimately the team takes down the trafficking operation and return Baby Will (Costa) to his mom. Will likes the birthday gift, and Ray puts his own gift from Emma (a journal) to use, ending this sweet episode on a laugh. Do you think Will is trusting Emma too soon? Is there more to Emma than we can see? Or is she genuinely a nice person there to simply help Will move on from Gigi? When the inevitable break up happens will it be because Emma breaks his heart, or do you think Will realizes he’s meant to be with Frankie and ends it himself? Is Ray becoming a better person in your eyes? Or is what he did to Will simply unforgivable? And Standish – will that kill affect him in coming episodes?